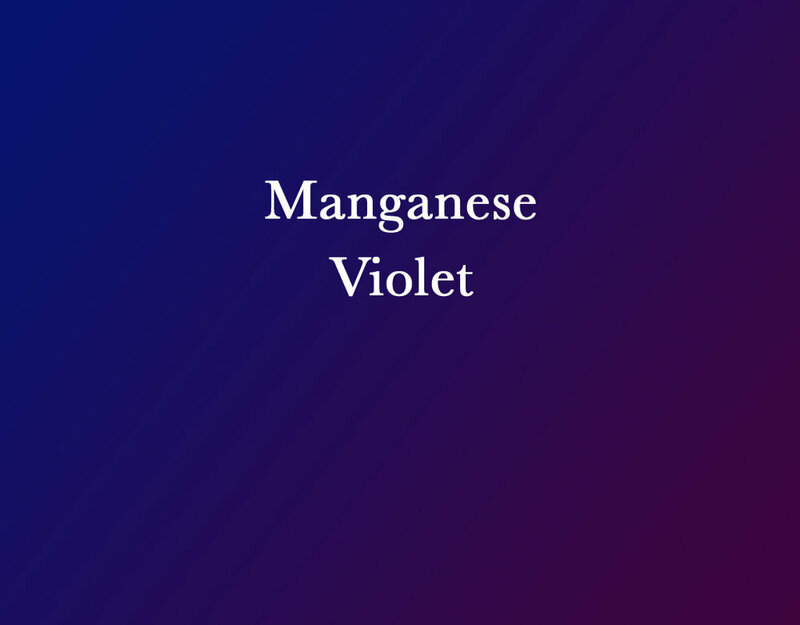 Gradient between two different RGB values for Manganese Violet. Last weekend I made a clay monoprint using a new pigment for me, manganese violet. Ironically, her book has a chapter on manganese violet! (Subtitled “Monet Goes Outside.”) Before 1860, artists had to make their own purple colors by mixing red and blue themselves. Finlay noted that Monet loved using the color in shadows, which in reality are not pure black as we typically think of them. In addition to its use with artists, It is also commonly found in cosmetics, as it is safe in that use. Looking for a precise color to show here, I found two different versions, so the image above is a gradient between the upper left and bottom right colors.